Suffolk Farm Shops and Farmers Markets are some of the best in the UK due to our long agricultural history which is today still a critical part of our local economy. So at our Markets you will often meet the Farmers and producers and be able to discuss with them where your produce comes from at source. The Aldeburgh Market, close to the iconic seafront, boasts a deli with an extensive fish counter, fresh fruit and vegetables and dairy items from local suppliers including milk, cheese, yoghurts etc. The also sell their own Aldeburgh Market products such as taramasalata and hummus, potted shrimps and fresh and delicious fish pies and breads are baked every day. There is a freezer which is stocked with small and large tubs of local ice cream. Their fish restaurant serves superb dishes cooked by experienced chefs, and they are in the Good Food Guide and Michelin. 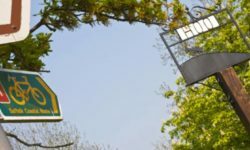 Established in 1820 and still residing and operating from its original premises, this family business is the oldest artisan ham and bacon producer in the UK. Along with the ham and bacon there is a wide range of other natural and delicious food products available to purchase or to eat on the premises within the cafe or courtyard garden where dogs are welcome. Visit them in the picturesque village of Peasenhall or make use of their excellent mail order service. See Emmett’s Stores to find out more. Open daily throughout the year – Not many farms have their own TV show but the nation has been fascinated by the trials and tribulations of this farmer for many years. When Jimmy started his rare breed pig farm his vision didn’t stop at just pigs. He wanted to create a farm that specialises in breeding rare breed pigs, cows and sheep and an environment where everyone could learn about farming, food and nature. The result is the Woodland Trail and Animal Paddock at Jimmy’s Farm. The Farm also offers an active Education resource, courses for kids in the school holidays, as well as JIMMY’S ADVENTURE PLAYGROUND – two crazy areas, one for the toddlers and another for those who are a bit more grown up. Climb like monkeys, slalom like snakes and go crazy on the rope ladder! A SHOP (All the meat is from Jimmy’s Farm, and the vast butchery section gives way to the pantry, laden with local and regional goodies) and a FARMERS MARKET – once that has been included in the Guardian’s choice of Britain’s Most Vibrant Food markets – something to be very proud of! 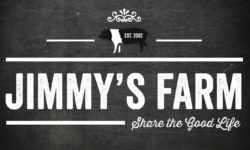 More here – Jimmy’s Pig Farm. Middleton Farm Shop & Cafe is situated in the quaint village of Middleton, just minutes away from the Suffolk Heritage Coast and offers a full range of locally sourced produce, meats and prepared specialty goods. Cafe is now open serving serving refreshing tea, coffee, and homemade snacks. Pop in on Saturday’s for a light lunch as sandwiches, soups and pizzas – 12noon to 2pm. Open Monday to Saturday 9am – 4pm, will be opening on Sundays from Easter. Contact: 01728 648 936. We are a small local farm shop selling a range of organic vegtables and farm fresh food. 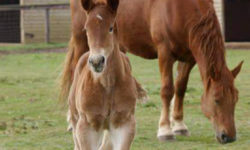 We also have a small number of friendly animals, that the children can meet and greet. Especially our friendly sheep Jake, who is a star who enjoys all the fuss and attention he can get. Opening times are 8 am till 4:30 pm Monday to Saturday, Sunday 10am till 4pm. Contact: 07976 771403. Started by Suffolk farmers who wanted to ensure friends had the best access to much of the fresh and original food produced locally, the Food Hall brings together local specialists offering a wide selection of artisan and luxury food & drink, including a scratch baker, traditional butcher, fishmonger & delicatessen. 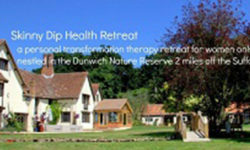 It is also home to the ‘Best On Farm Restaurant’ in Britain (2014), The Cookhouse, along with a unique jumping pillow for children and stunning views down the River Orwell. Open all year Mon-Sun, and Bank Hols. Renowned for fantastic home made ice-creams, Alder Carr also offers an extensive Farm Shop full of fresh local and some organic produce. There’s also a farm restaurant on site, and a craft centre. The Lavenham Farmers Market is now officially the best market in Suffolk since winning the title at the 2012 Suffolk Food & Drink Awards. 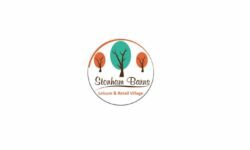 Held on the fourth Sunday of every month in Lavenham Village Hall, this market boasts over 30 of the highest quality artisan producers in Suffolk & is well worth a monthly visit. There is a fantastic range of local, fresh produce and all the food at the market is grown, baked, brewed and butchered by the person who is selling it so that you, the customer can find out everything you want to know before you buy – there are no hidden surprises. 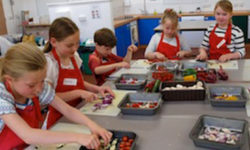 The fantastic kid friendly Farmers’ Cafe serves homemade soup, freshly baked quiche and cakes, Farmers’ Breakfasts & good quality coffee using local products direct from the market traders. Held on the fourth Sunday, monthly from 10am until 1.30pm. This is a great example of a Suffolk traditional family butchers, with pork from their own farm. They offer delicious home made sausages and burgers, as well as home cured gammon and bacon. We also have lamb, beef, poultry, game, venison and Christmas Turkeys. Our BBQ Section is superb, along with all the more traditional and speciality cuts of meat. Open: Wednesdays 9am to 3.30pm, Thursdays and Fridays 9am to 5.30pm and Saturdays 9am to 3.30pm. Open 9-5 Mon to Sat. 10-4 Sun and Bank Hols. Stocks a wide range of local and regionally produced foods inc: pies, preserves, cyder, bread, fruit juices, cakes, eggs, meat, Assington Strawberries in season and Plants. Tea Room on site plus gifts and home interiors. Farmers Market held on 2nd Sunday each month, with local produce and handmade crafts. Sudbury Farmers’ Market is fast becoming one of Suffolk’s busiest town markets and is proving to be a huge hit in the town centre. The market is held on the last Friday of every month from 9.30am until 2pm in St Peter’s on Market Hill when the church is filled with some of the regions very highest quality, delicious, fresh produce. Whether it has been brewed, baked, butchered or harvested nothing will have travelled further than 50 miles to be at the market with many of the traders coming from Hadleigh, Boxford and Long Melford. Open 7 days a week 10 till 4, they have a fantastic range of their own pork, local beef, lamb and in-season game. Local cheeses from East Anglia, various salamis and smoked salmon. Fresh in- season fruit and vegetables either their own or local organic suppliers, other local produce including Aspalls vinegars, Belvoir cordials, Baltiman spices and many more local products. Open 9am-5pm every day except Monday. Located in lovely village of Newbourne, between Woodbridge and Felixtowe, this family-run farm shop sells home grown fruit & vegetables and locally sourced, Suffolk food. On offer is the finest produce including groceries, meats, vegetables, bread, flour, eggs, dairy, fruit juices, sausages and bacon. Events run throughout the year such as free soup tasting, so you can meet some local suppliers and try before you buy! There is also a stall at the Woodbridge Farmers Market which happens twice a month. Access is from the A12 near Woodbridge and there is plenty of easy parking. Open from 9am to 1pm every Saturday and there is ample parking. We are the longest running weekly market in Suffolk and have been going strong all through the recession because people know they can get their groceries every week and they can have a cup of coffee in the wonderful Leaping Hare afterwards! We are a mixture of permanent weekly stallholders and guest appearances with monthly or fortnightly regulars in between, so the market is always changing and different every week. Permanent stall holders include East Coast Fish, Domini Dairy and Heather White lamb. Regular stallholders include Piff’s Preserves, Stour Valley Smokehouse and Suffolk Spanish Traders. A small family owned Suffolk farm. A few years ago we started to convert our fields to organic agriculture and this involves understanding natural processes rather than relying on pesticides and artificial fertilisers. Since then we have seen the health of our soil improve and our bird populations grow. Our aim is to grow and sell produce locally: organic vegetables from our market garden, home-milled flour made from our organic cereals – we have our own stone mill on the farm – also honey and organic eggs from our flocks of hens. We distribute within a fifteen mile radius of the farm via our box scheme, and we always attend certain Farmers Markets. Our Farm Shop, winners of ‘Best Farm Shop in Suffolk 2008’ prides itself on offering you everything for your weekly shop with lots, lots more as well. Our fresh meat counter with home reared beef and lamb when available, home grown potatoes, fabulous shop and delicatessen is open Monday to Saturday 9.30 to 5.30 and Sunday 10.00 to 4.00. 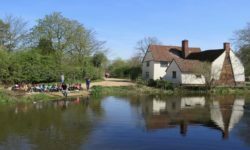 Situated at Stratford St Mary, the gateway to Constable Country, we welcome browsers and buyers as well as visitors to our Cafe/Restaurant. Open all year round. 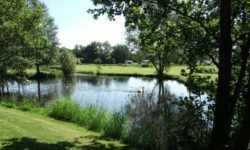 Goslings have a farm shop, a plant centre, PYO, a coffee shop open from morning coffee to afternoon tea during the summer, and fishing in well stocked lakes on the farm.